Links in this post are referral links and MamaBreak may receive a credit for their use. Mamas-- as you know, we LOVE Citrus Lane! We subscribe and get 4 different boxes, and I cannot wait to share with you what we got this month!!!! Assuming no value for the coupon, the other items alone are: $30.07!!!!!! Citrus Lane is only $25 a month AND you can get $10 off your first order by clicking HERE. This is our infant female box. I have a friend expecting, but also wanted to see what was in the baby box and I love everything so much, I am keeping everything (is that wrong of me??). Total value: $37.22! Incredible value for only $25 a month! Use code BREAK10 for 10% off to save even more than $10 if you get a 6 month or longer subscription (or if you are a returning customer). As you can see, it does not matter which box you received this month, your value was far over the $25/ month cost (less with the coupons). Not only that, but I hope everyone can clearly see the differences in boxes, and that they truly try to take into account both age AND gender, which we love! You can order HERE. Remember first time subscribers will get $10 off their order. BREAK10 will take 10% off (which is a better deal if you have a 6-month or 1 year subscription). We also want to add that we strongly urge consumers to research JustFab before subscribing, even with their $20 off coupon (which again is not much better than the regular deal the site offers). Please google JustFab and read about consumer issues the company has faced in the past. Links provided above take you to the Citrus Lane page to order through a referral link. We thank you for supporting MamaBreak by clicking through the link! Oh my goodness, this looks awesome! It really is! 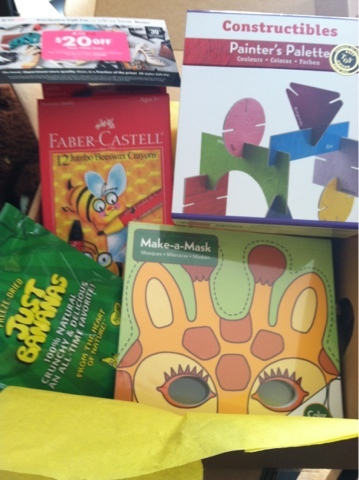 all of the boxes were so super, and I know each child will be oohing and ahhing over them! I liked the older boy box the best though! 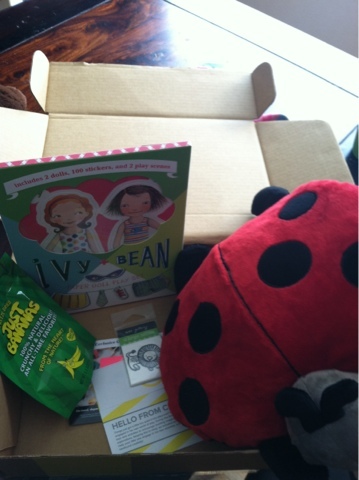 I absolutely love the Citrus Lane subscription box too! 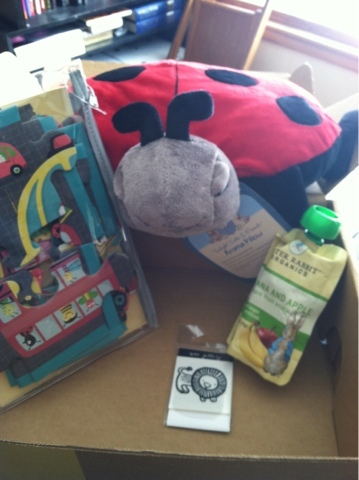 We have been receiving this subscription for the last 3 months and my (now) 14 month old loves the items she gets and I love the new baby/kid products I get to try out. I also have a 3.5 year old boy and I'm so happy to see that they have increased the age of their boxes! I haven't yet started his subscription but I'm looking forward to getting his real soon! I love seeing what everyone else is getting and reading all the reviews. Thanks for the review and pictures of each box!